Privileges as well as Permissions assigned to a Group are inherited by all Group members. Privileges govern whether or not a user can use certain features and/or and set selected Preferences. While Privileges determine what functionality is available to a user, they do not control which elements a user can view. Permissions are used to grant access to specific Elements and measurement data. Privileges control access to Elements, Dimensions and other system components. 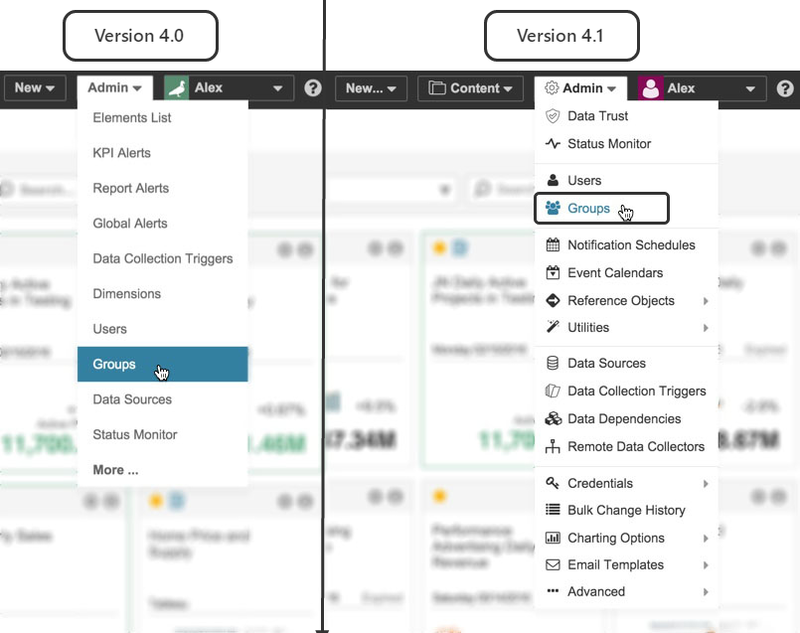 The "Default Group" is the only Group that is created automatically when Metric Insights is first installed and, by default, all Users are assigned to this group when their account is created unless otherwise specified. The "Default Group's" settings represent the baseline access level that is provided to all users. Administrators do not need to be assigned to any groups; assigning them a group only functions to allow them access to the Shared Favorites. 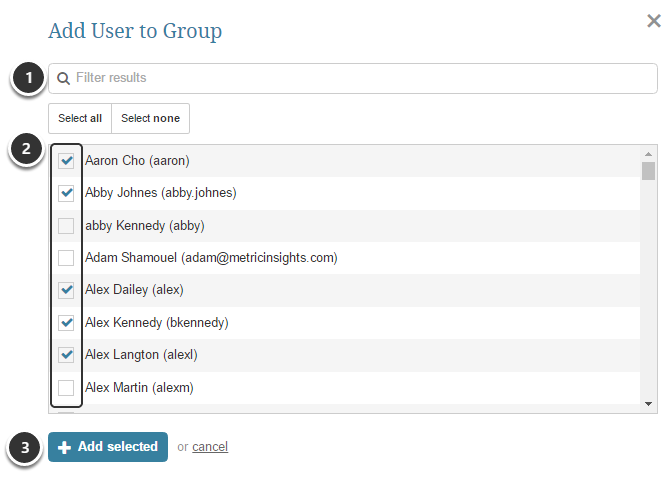 A Users may belong one Group or multiple Groups. 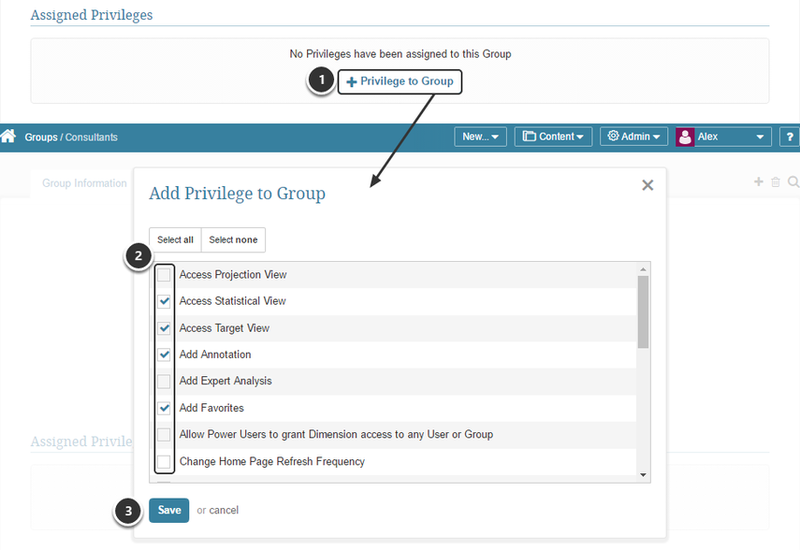 When assigned to multiple Groups, users inherit Privileges and Permissions from every Group of which they are members. Optional. All Access Group? : Change default "no" to "yes" if you want this group to have full access to all available Elements, Dimensions, Dimension Values, and Categories. You can maintain specific Privileges, Shared Favorites, Event Calendars and Targets. In the opened pop-up check the rows with the privileges you would like to assign to this Group.